Knives. They’re probably the most used kitchen item - but the least talked about. But I want to change that. You see, great knives can totally transform your cooking. 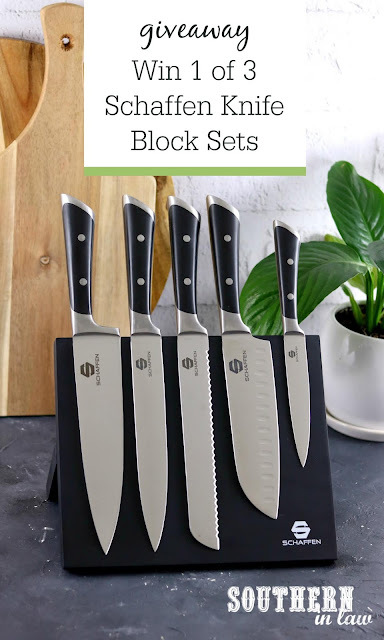 A great set of knives is my top kitchen must have. It’s also my top kitchen investment - because if you buy a great set, they will last for YEARS. I recently discovered Schaffen’s magnetic knife block and fell in love with the design - but then I used the knives and was totally smitten. My parents have always had a wooden knife block. Inside it are the knives they received years ago as a wedding gift - but I’ve always wondered what was also lurking inside those holes... they’re impossible to clean out and impossible to see inside... so who knows what’s hiding in there.... mould... crumbs... bugs? Gross. 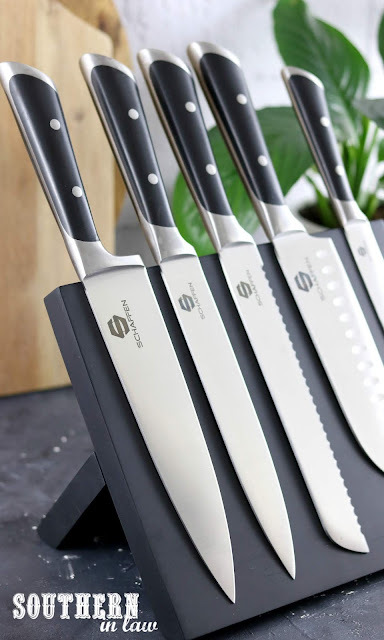 Founder of Schaffen, Jayden O’Connell had the same problem - and it was an accident with those knives that inspired him to change the way Australians use their kitchen knives. “All I wanted to do was slice a couple of pieces of bread to make toast. We’d just thrown out our old knife block after mould had moved into the holes. So naturally, our knives ended up in the second drawer. I went fishing around in there, looking for a serrated knife. After a bit of a search, I found the blade, and pulling it up, caused another knife to fall out of the drawer, and land, blade tip first, into the top of my foot” said O’Connell. 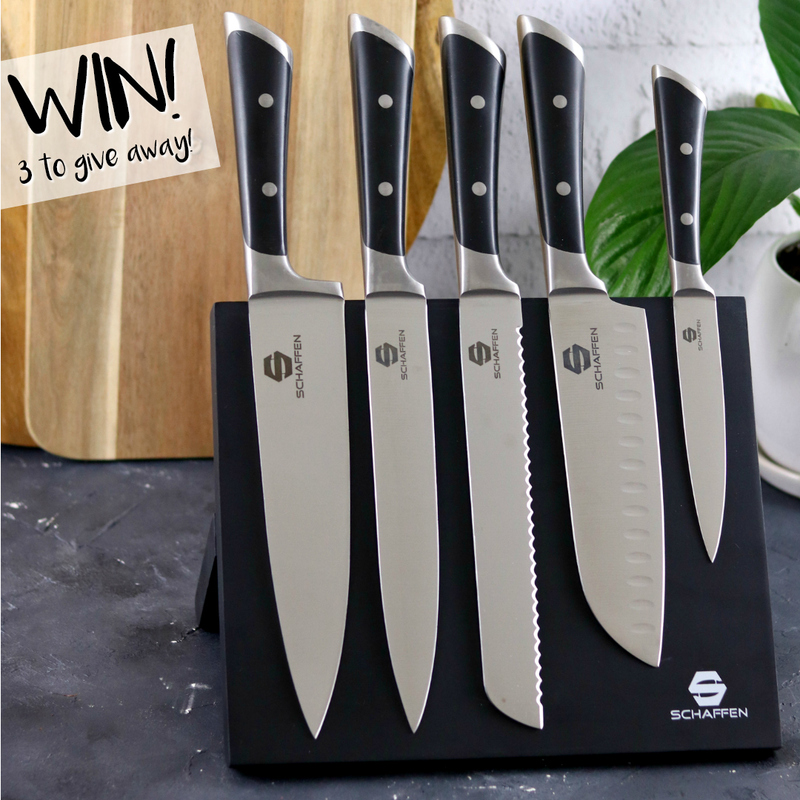 That option came with the development of the now famous Schaffen 6pc Magnetic Knife Block Set. 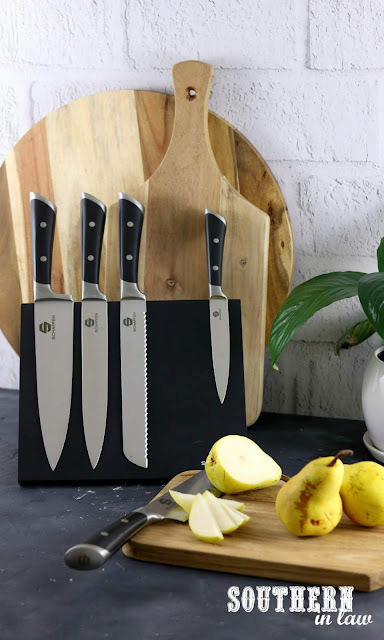 Not only does the knife set look great, the knives feel great in your hand and are so comfortable to use. I have a “thing” with knives where if I don’t like the feel of the handle, I simply won’t use them - so we have an entire second set of knives I just don’t touch. These Schaffen knives, however, are seriously comfortable. They’re ergonomically designed and tested so you can chop for hours and won’t end up with sore hands or blisters. My favourite pick of the block? The Santoku knife. I use a Santoku knife for almost everything because it’s so easy to use and so versatile. It’s a beautiful hybrid between the versatility of a Chef’s Knife and the rugged strength and speed of a Vegetable Chopper. Plus, with the scalloped indentations on the blade, cutting friction is reduced so you can slice through faster. But now I want to give you a set! I am all about sharing the love, so I asked my friends at Schaffen if they would be interested in collaborating with me on a giveaway - and because they're so passionate about changing the way Australians use their kitchen knives, Jayden and his team gave me not one, but three Schaffen knife block sets (including all of the knives shown in my photos, PLUS a knife sharpener) to give away to three lucky readers. Simply leave a comment below, telling me the BEST cooking advice you've ever received. NOTE! If you can't leave a comment below (our comment system is having issues at the moment) you can still enter by emailing your answer to this email or by using our contact form. Enter on Facebook by following Southern In Law on Facebook and answering the question on this post. Enter on Instagram by following Southern In Law on Instagram and answering the question on this post. Note that each of the questions are different - so you'll need to put your creative hats on! This competition is open to Australian Residents. Entries close 11:59PM AEST and winners will be announced on the blog on Monday April 8th. This is a game of skill, the top three valid comments will be chosen and selected as winners. For social media entries, entrants must be active followers of Southern In Law at the time of entry.